They are unavoidable: mobile apps restaurant tips are among the most downloaded apps. Their impact on the e-reputation of restaurants becomes inevitable. Getting a better grip on your restaurant’s e-reputation in China is still possible: all the advice is in this article. Why mobile apps are the law in food and beverage industry? First of all, because Chinese consumers are hyper connected. It has become common to share on social networks its recommendations and culinary experiences, with pictures in support. Some mobile apps are references in the field, like BonApp and Eleme, which we’ll talk about below. 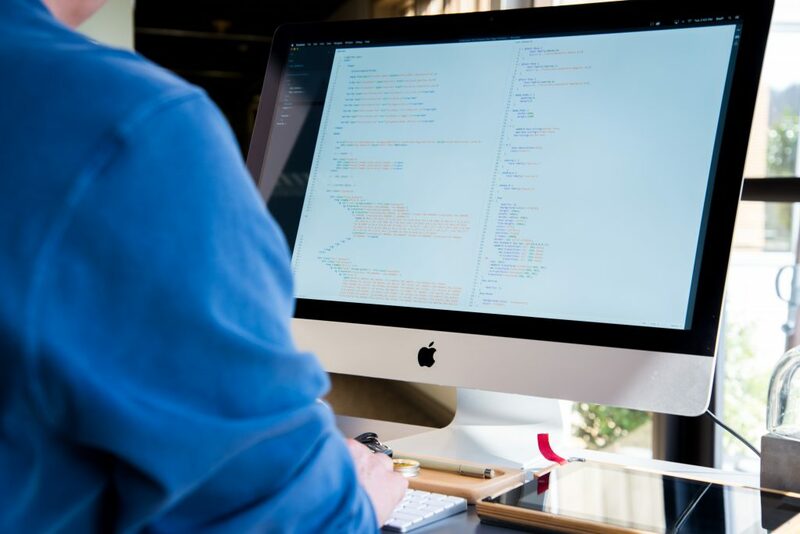 These applications have become powerful by covering more than 80% of big-city brands and bringing together a large network of active users posting daily comments. The rise of these apps takes the status of the king customer a step further: a disappointed customer who complains about social networks can make you lose ten more customers, while a customer who publicly expresses his satisfaction will have a little less impact for your business. Negative comments on social networks are a thorn in the foot of business owners, that one’s must learn to manage even before the creation of its business. In a digitized world, your e-reputation will always precede you! 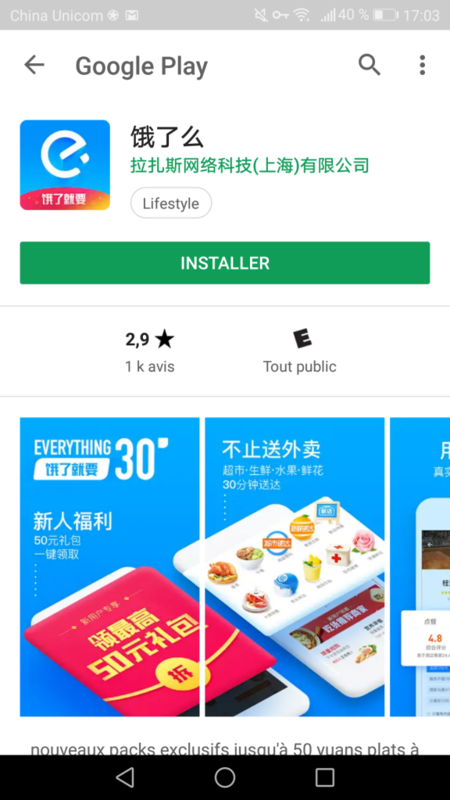 The mobile app lists restaurants in China’s largest cities: Beijing, Chengdu, Guangzhou, Nanjing, Shanghai, but also Suzhou and Hangzhou, as well as Macau and Hong Kong. Because users travel to Asia, BonApp even accompanies them to Bangkok, Singapore, Taipei and Tokyo. 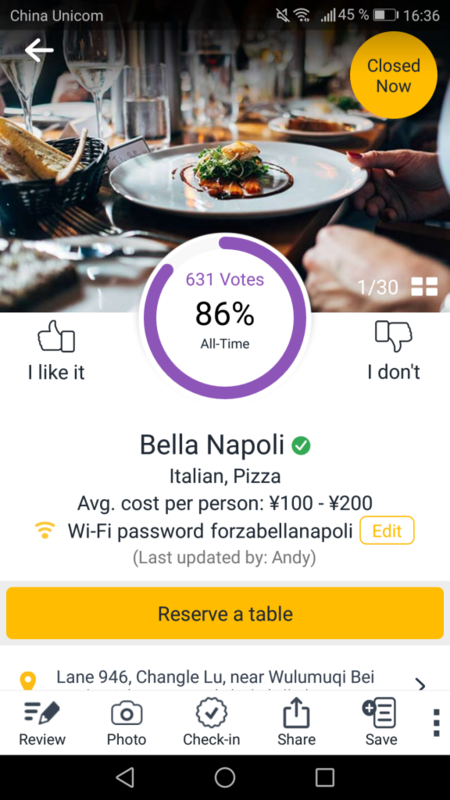 The use is extremely simple and fun: restaurants are classified by their style of cuisine, price, customers rating, location proximity and delivery possibility. Users can illustrate their comments with their meals pictures, largely supporting the practice of ‘selfie food‘. The restaurants location is automatically linked to Baidu Maps, the opening times and the nearest metro stations are part of the business informations given. It is even possible to book your table via BonApp. Dynamic, the application offers daily on its homepage a Top 10 of best restaurants in each category: coffee, burger, Sichuan cuisine, etc. Any hungry and hurried Chinese will resort to a meal delivery through 饿 了 么. This national mobile app has a huge network of delivery people – very recognizable with their blue electric scooter box – to actively connect restaurants to lunch breakers. Indeed, the Chinese often prefer a meal at home or at their working place to spare time. 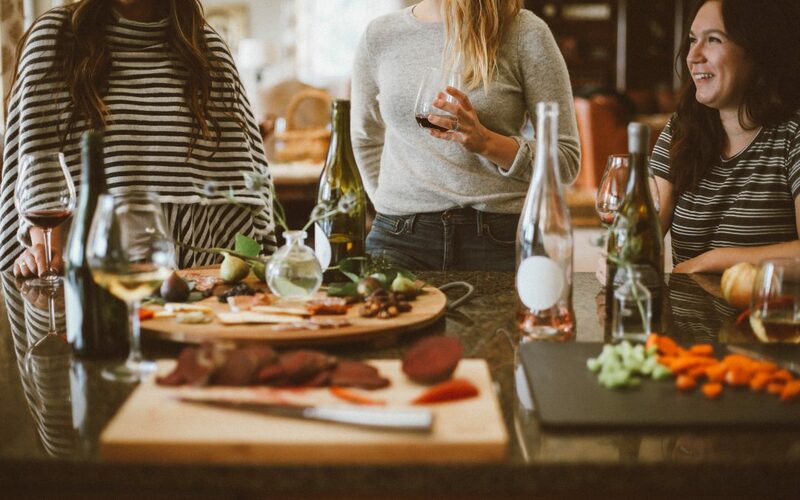 Rare are the offices providing a canteen and few city-dwellers actually know how to cook … The rise of this type of mobile application helps to empty the restaurants of their customers, to keep only a full-of-activity kitchen and waiters running to deliver orders ! 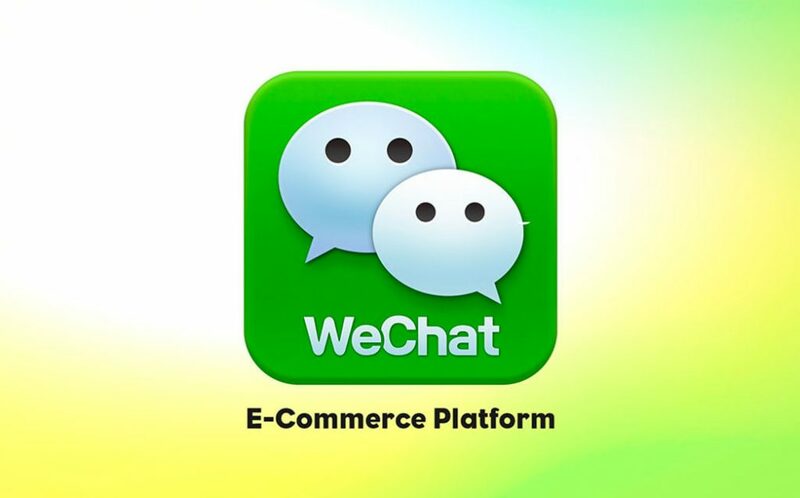 After referencing your brand on mobile apps like BonApp and 么 了 么, let’s move to the next step : marketing via Wechat. A service account on Wechat allows you to get closer to your customers without spamming. You can post up to four notifications per month (Exceptional Close Type, Month Promotion, Party Menu…) for which your followers will receive an alert. This type of account lets you configure the design of your page as that of a website and also allows you to implement mobile payment. With this account, you have your official source of e-reputation: you can post your menus and quality photos of your dishes online. You can also use a brand ambassador on Wechat or your personal user account in addition, to regularly post pictures of your latest creations and appeal to potential consumers. Social networks – especially in China – can emplify the audience of your events. A special party menu, an exceptional opening on a holiday, Happy Hour or a limited promotion on your offers: it is within your reach to boost your image on Chinese social networks and bring you closer to your consumers. 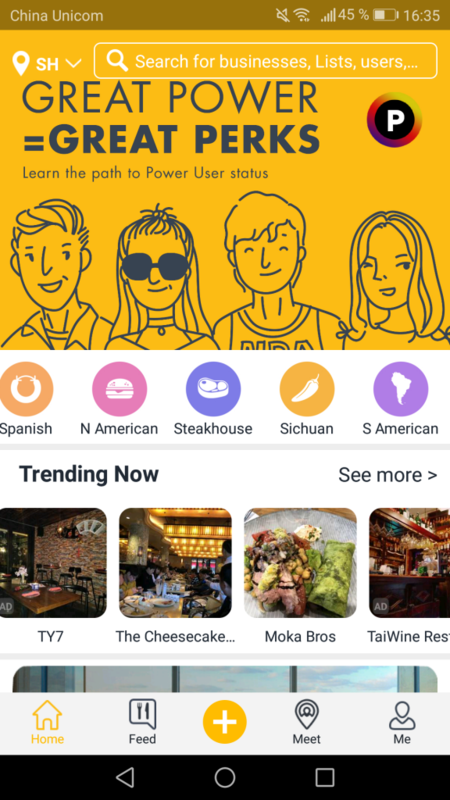 Get invited to groups of individuals on Wechat: the network is full of groups of expatriates and locals looking for places to eat, where you can post your offers. Ask mobile apps for reviews that list your business to report your event to users. 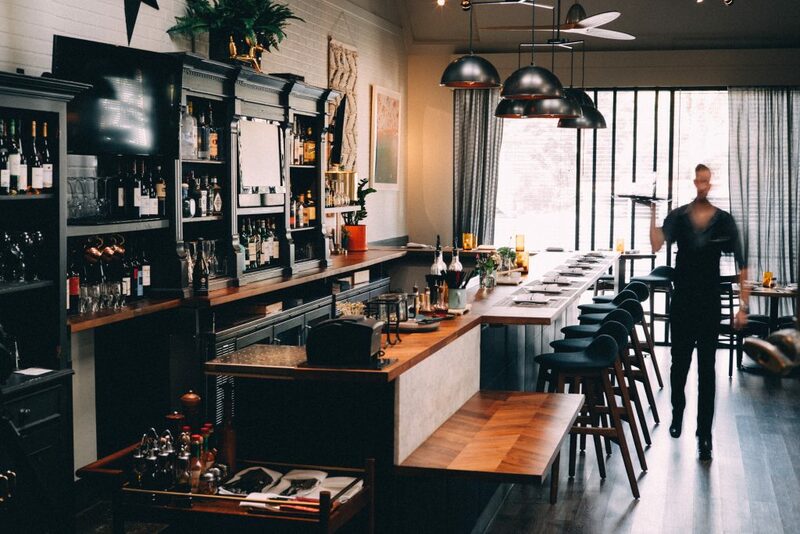 Often, special days like Valentine’s Day or St. Patrick’s Day are subject to writing the famous Top 10 best restaurants to go to dinner. Competition in catering is strong and e-reputation can bring you this extra thing that will distinguish you from other brands. Mobile apps are a phenomenon we follow closely. Our Marketing China agency has specialized in digital marketing and communication strategies via social networks. We can help you develop your e-reputation with Chinese consumers. Need help controlling your e-reputation or boosting your SEO ? Contact us to benefit from our advice. Tmall VS JD.com : What’s the best e-commerce platform for you ?